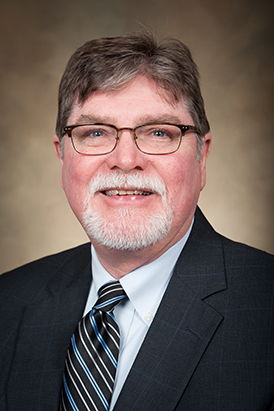 From the March 2016 Desktop News | Alabama’s State Geologist and Oil and Gas Supervisor, Dr. Berry H. “Nick” Tew Jr., has been named director of The University of Alabama’s Center for Sedimentary Basin Studies and a research professor in the UA’s Department of Geological Sciences. His work with the University will be in addition to his duties directing the Geological Survey of Alabama and the staff of the State Oil and Gas Board. Geological sciences chair, Dr. Fred Andrus, is just one of many who are glad to have Tew on board. Tew brings decades of experience to the center. He has worked with the Geological Survey of Alabama for 31 years and is nearing his 14th year as the state geologist. Formerly, he served as the president of the American Geosciences Institute and the Association of American State Geologists, in addition to numerous other service and leadership activities on boards and committees. He has published numerous scholarly works and is a fellow in the Geological Society of America. As an Alabama native, adjunct professor, and alumnus, Tew also has a long history with the University. According to Tew, the Center for Sedimentary Basin Studies has focused primarily on the energy resources in sedimentary basins, but as the new director, Tew hopes to take a more comprehensive approach that encompasses the totality of sedimentary basin research. Because much of Tew’s work at the state geological survey has been focused on practically integrating research about resource availability, development, and consumption into state decisions, regulations, and policy, he sees this opportunity to work with the center as an extension of what he already does. Tew said the state has a responsibility to protect and manage the use of its resources, and research from the center will play a key role in doing that. In addition to broadening the scope of the center, Tew said he will look for external funding to accommodate substantial research.